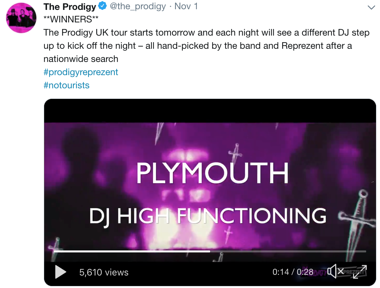 Last week, dBs Music Plymouth student, Daniel Legg won an amazing mix contest, with the prize being a warm up slot for The Prodigy at Plymouth Pavilions! At just 18 years old and in the first year of his Electronic Music Production BA (Hons) degree, it's a huge achievement and a great launchpad for a career DJing and producing electronic music. 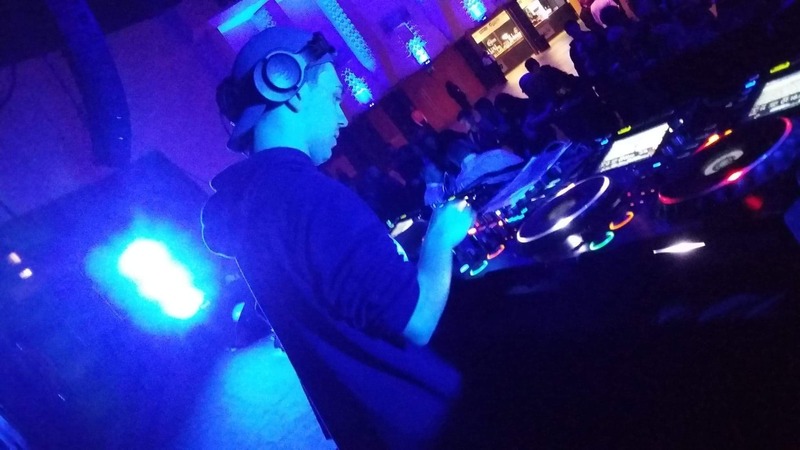 We had a quick catchup with Daniel the day after the show to find out more about his budding DJ career, his course at dBs Music and how the gig went on the night! "My name is Dan but I DJ under the name DJ High-Functioning. I'm originally from London but moved to Devon when I was six years old. I am now 18 although I started DJing when I was 11 years old, and have always had a passion for music since a very young age. Im also a massive synth head! How did you find out about dBs Music and why did you choose to study with us? "I knew I wanted to study something in music when I was getting ready for further education but I didn't know dBs Music existed until my parents played someone my music, who told them about the Plymouth centre. When I looked around dBs Music Plymouth with a member of staff, I knew straight away that it was the place for me. I didn't want to just study music at any college, especially one where I felt I was just another number. Also dBs Music Plymouth could offer everything. All areas of the industry are under one roof. I joined dBs Music in 2016 and started the Level 3 DJ & Electronic Production Extended Diploma, which I finished earlier this year and got a overall Distinction. More recently I have started my BA (Hons) Electronic Music Production Degree, which I am in my first semester of now." Tell us about why you entered the contest? "I saw a post on Facebook that The Prodigy shared about the competition in partnership with Represent Radio, and started putting a mix together, as I have grown up with The Prodigy's music all my life, thanks to my dad being a fan since the very early 90s. Their music has alway been a massive influence on me. Once I had finished my mix I wasn't actually going to submit it, as I didn't think I was going to get anywhere. So, in the end it was actually my parents that urged me to submit the mix, saying that I could win and I would be kicking myself if I didn't enter. Especially as The Prodigy would be listening to it and choosing the winners themselves." "Actually it was really funny when I found out the results because I thought it said that I hadn't won, but my mum looked at it and said that she thought I better check it again. What I had achieved just didn't sink in and when it did, the anxiety kicked in as I had never performed in public before. The thought of performing for The Prodigy was huge on its own, let alone thinking of all the people that would be there but I really didn't want to let The Prodigy down. I never thought that this would be my first ever gig and probably nobody else can say that they have done this, which is a huge accomplishment in itself." "I prepared by working out my set, as it was important to me that I should take into consideration what Rene Lavice would be playing, as he was on after me and I wanted to build up the crowd's energy slowly without stepping on his toes. It was also important when I was working out what I was going to play, to stick with Jungle as it was the sole genre I used within my winning mix. In terms of nerves I didn't know want to do, as I didn't really know how to prepare for that aspect of it..."
Tell us about how the night went for you, what was the highlight of your set? "It was a really great night and everyone was so nice. I cannot thank them all enough. As for my set I feel it could have gone better than it did, but everyone says I'm my own worst critic. Sadly I had a technical issue with the CDJs because of Rekordbox, which did not help the anxiety, especially as I usually work with vinyl! The highlight for me was having Rene Lavice come on stage during my set and for him to be enjoying it. Above all else, to get the opportunity to perform on the same stage as three of my childhood idols and watch them put on a fantastic performance. Altogether, I've really enjoyed the whole 'Experience', if you'll excuse the pun!" Whats next for you? Are you going to play out more regularly now? "To be honest I'm not too sure. Of course I will carry on with my studies, but I will also want to concentrate on getting more of my music out there more. If the opportunity arises to play out regularly that would be fantastic."